Allu Arjun’s next stylish flick directed by Surender Reddy, Race Gurram has been postponed to the summer next year, speculate the sources. The film that was originally slated to be released for Sankranthi next year seesa chnage of plans, predictably due to Yevadu and 1 releasing in January. The film is mainly into post pruduction with few songs still to be shot in January. The film will showcase Arjun in the most stylish of his avatars. He will be seen playing a biker. Most parts of the film have been shot abroad. 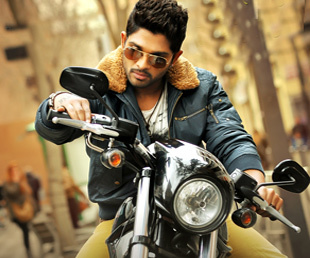 S S Thaman has composed the music for the film, that is said to be an action drama.